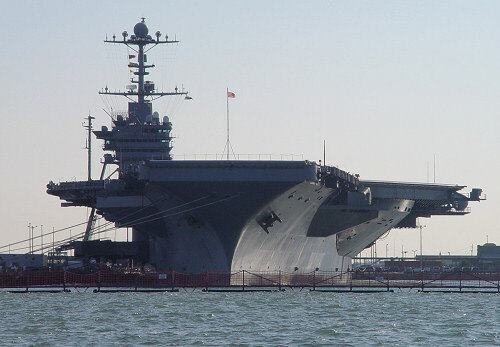 The USS Harry S. Truman (CVN 75), a Nimitz class aircraft carrier commissioned in 1998 and based in Norfolk. The ship is 1,088 feet long, 134 feet wide, displaces 91,300 tons, and is powered by 2 nuclear reactors that develop a total of 260,000 shaft horsepower. It's interesting to compare these specifications with a modern cruise ship. For example, the Queen Mary 2 is 1,132 feet long, 135 feet wide, displaces 151,400 tons, and is powered by conventional engines developing 157,000 shaft horsepower. World War II era carriers displaced about 30,000 tons, which is quite small by modern standards. A different aircraft carrier docked at Naval Station Norfolk. Unfortunately, I didn't see any identifying information in the picture, so I don't know which one this is (it looks like a Nimitz class). The old Chamberlin Hotel on the grounds of Fort Monroe, which is just east of Hampton by Old Point Comfort. The hotel was recently closed and is being converted into apartments. The fort itself is expected to close sometime in 2011, as recommended by the Federal BRAC commission. The cargo ship Beaumagic heads through the Hampton Roads area. 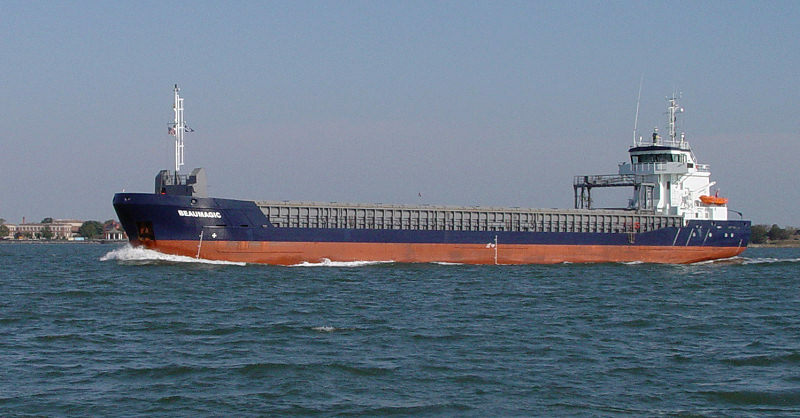 The ship is 282 feet long, 41 feet wide, displaces about 4,100 tons, and was built in The Netherlands in 2007. The ship is operated by Vertom, a Dutch company. This submarine didn't have any identifying information on it, but it might be a Los Angeles class attack submarine similar to the USS Hampton (SSN 767). They were coming in from the ocean as we were heading out.